Liquid nitrogen ice cream – a concept I had never heard about before going to The Ice Cream Lab in Little Tokyo, Los Angeles. 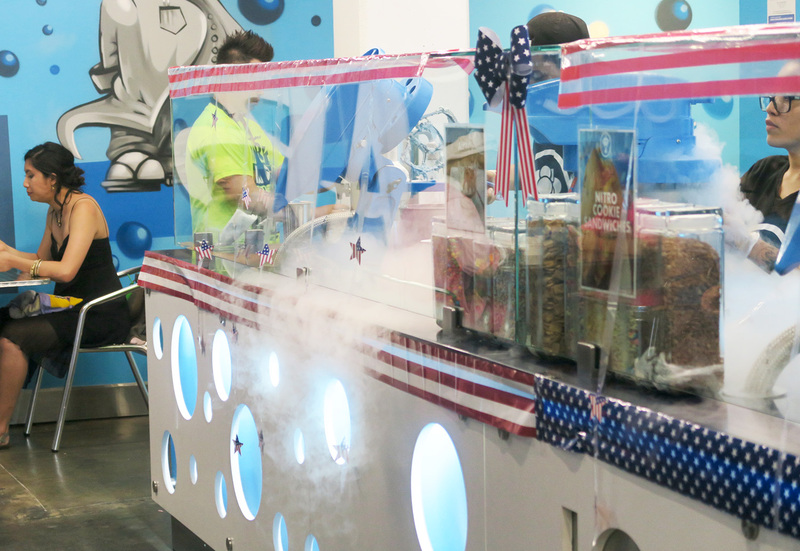 The Ice Cream Lab lets customers pick base flavours and toppings to be added to a liquid nitrogen mixture, producing smooth, creamy ice cream with tons of customizable options! The idea is pretty similar to Cold Stone creamery (with the marble slab), except much more ~sciencey~. Keep reading for my order and experience!